STM Tipple Fashions on the Field proudly supported by Medasthetics. Racewear competitions are held on both Derby Day, Saturday November 3 and Melbourne Cup Day, Tuesday November 6 for both Men and Women. 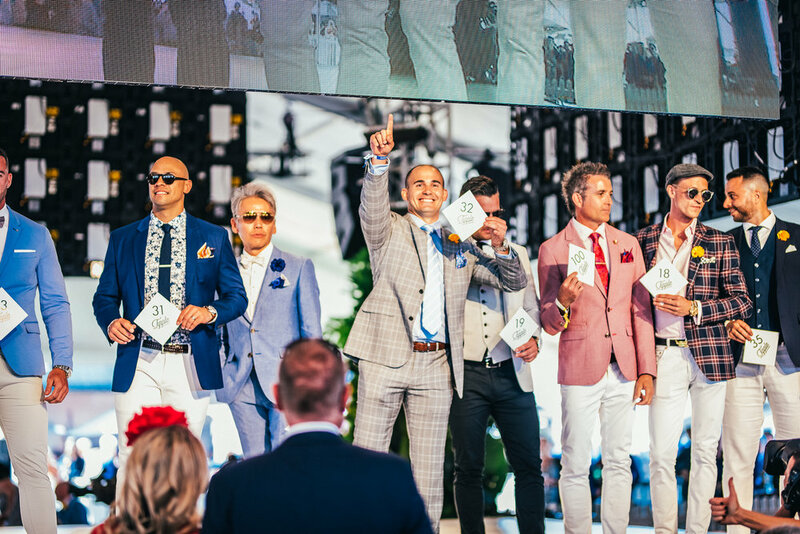 Judged by prominent fashion designers, celebrities and commentators, the Tipple Fashions on the Field will highlight Western Australia’s finest fashion that’s as eagerly anticipated as the big races. Registrations and scouting for Fashions on the Field will commence at 10.30AM on both Derby and Cup Day, inquiries and registrations can be made at the Registration Desk on the Silks Lawn, next to the Fashions on the Field stage. Our top fashion forward guests will compete in the Tipple Fashions on the Field on both Derby and Cup Day. Competing on the Silks Lawn Fashions on the Field stage, 25 (maximum) will advance to the highly-anticipated Semi Finals. Semi Finals will again be held on the Silks Lawn stage, where contestants are further reduced to our Final 10. The Final 10 (men’s and women’s) will then have one more opportunity to impress our judges, on the main stage, before first, second and third place contestants are announced. • Contestants are not permitted to alter or add to their outfit in any way from the beginning until the end of the competition (including heats and the preliminary and final). Tipple offers an incredible prize pool for our top 3 Fashions on the field winners from our partners. 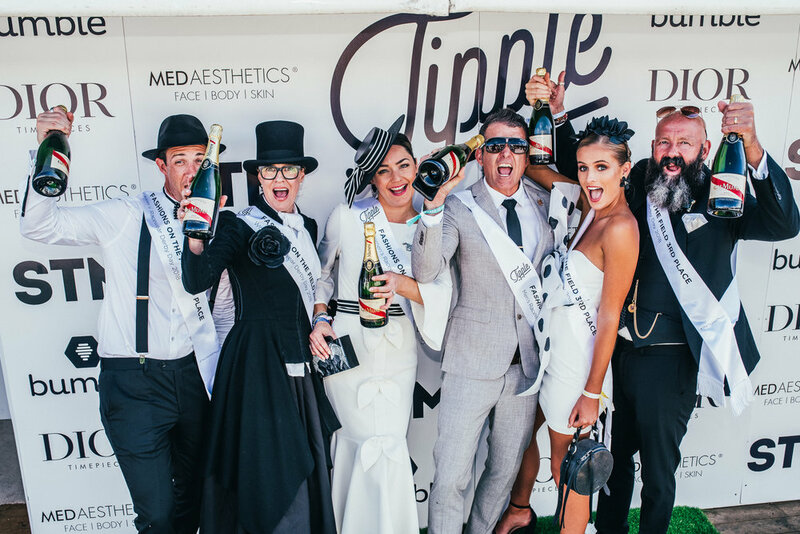 Please note that the male and female winners announced on Derby Day will go directly into the Final of the Tipple Melbourne Cup Day Fashions on the Field and be in the running for the major prize packages. The male and female winners will be given complimentary tickets to the Tipple Melbourne Cup event (if they don’t already have some), it’s up to them if they can/can’t attend the event to take up this opportunity to compete for the top prize pools. They must confirm either way after the Derby Day announcements. Contestants are welcome to compete in a new outfit if competing on Melbourne Cup Day, more suited to the day’s theme (i.e. not black and white).